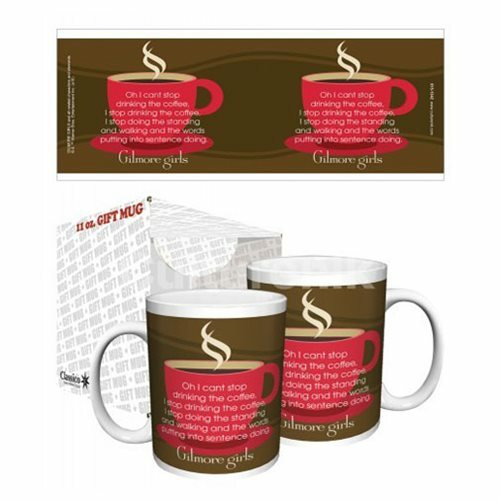 Shopping for Gilmore Girls Mugs? Coffee Coffee Coffee! Get your caffeine fix with this Gilmore Girls Can't Stop Drinking 11 oz. Mug. Lorelai was never shy about her love for coffee and this quote sums up what happens when she is running low on fuel. Never miss a coffee break with this Gilmore Girls Can't Stop Drinking 11 oz. Mug. Hand wash only. Not dishwasher safe. Do not microwave. Measures approximately 5 inches x 4 inches x 4 inches. Ages 15 and up.